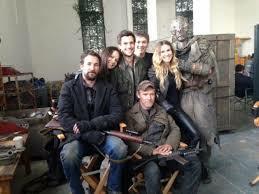 After five seasons the TNT TV series Falling Skies has come to a conclusion. Executive produced by Steven Spielberg, Falling Skies told the saga of the Mason family and a ragtag group of human fighters resisting an alien occupation of Earth. It was a rocky road getting to its endgame with unexpected highs and lows. 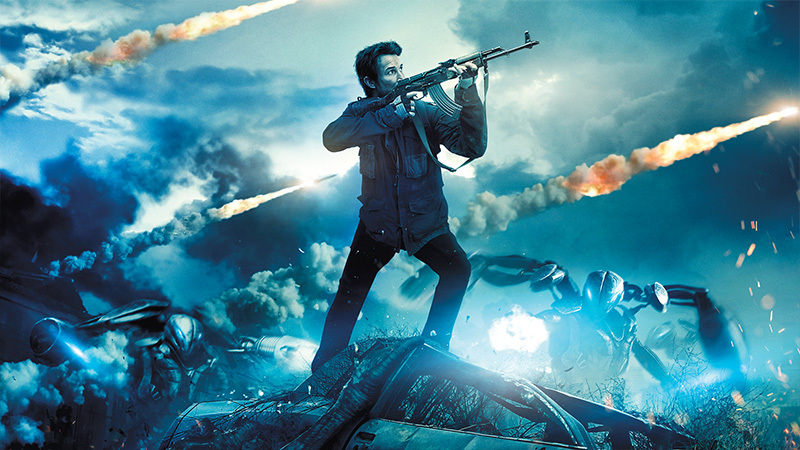 Looking back at Falling Skies, it could be seen that it was trying to emulate the same post-apocalyptic feel of the more superior The Walking Dead, but it couldn’t achieve those lofty goals. Still, it was for the most part entertaining to watch. 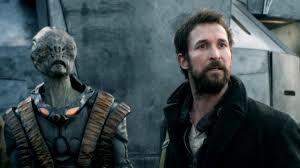 The first three seasons were easily the best for Falling Skies since the show displayed a desperate, squalid atmosphere where the freedom fighters were always on the run and for the most part were just staying one step ahead of the alien Espheni and their minions. As the show progressed so too did the humans. Led by Tom Mason (Noah Wyle), his wife Anne (Moon Bloodgood) and Col. Dan Weaver (Will Patton), the human fighters got better at fighting the aliens and were able to set up a provincial government thanks to the help of alien allies called the Volm, represented by one of the coolest TV aliens, Cochise (Doug Jones). Despite its limited budget, Falling Skies was generally entertaining, well acted and had some impressive production values. The set design was extremely dark and disheveled, which sold the fact that the American countryside was decimated by the alien invaders. The show had its faults such as delving too much in Mason family drama that involved Hal’s three sons, and the stories and characters were uneven. Regrettably, Falling Skies took a turn for the worst in its fourth season, which was just a symptom of its behind-the-scenes hurdles where the show went through many showrunners. How bad was it? Well, one of the worst sci-fi clichés was used: the alien/human hybrid who prematurely ages into a young adult and has superpowers. Then the show’s characters were split up; some were put into a ghetto where Tom Mason became a vigilante superhero (I’m not making this up), then one of his sons wound up in an alien youth camp where the children were being indoctrinated to welcome the alien conquerors. If the aliens had conquered Earth why go through all this trouble? Luckily, Falling Skies improved somewhat in its final season. It became grittier and darker even though the writing and character motivations were all over the place. Take for example, the character of John Pope (Colin Cunningham), who was first introduced as a villainous biker type then became an antihero. During the final season, Pope decided to go back to his murderous, evil ways and was after Tom Mason. At that point, Pope became like Jason Voorhees and was impossible to kill. He would show up in the last few shows in an extended cameo and be unceremoniously dispatched only to turn up alive in the next episode. This went all the way into the final episode, but at least his final scenes were actually effective thanks to Cunningham’s acting ability. It was easy to tell that the showrunners wanted to wrap up the show in the last episodes, which is why things felt so rushed. But what was maddening, was the insistence of introducing and then ignoring new characters. Some were interesting, others were forgettable. Like with Pope, this trait went on into the final episode “Reborn” where a new biker type entered the picture (Jeff Fahey), who basically provided off-screen cannon fodder. 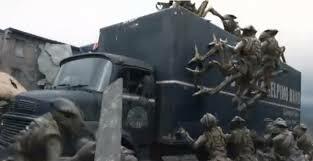 The final battle between the humans and the aliens showed its budgeted limitations with much of the action happening off-screen and with sound effects. But at least “Reborn” ended on a satisfactory note, even if it won’t go down as a great finale. 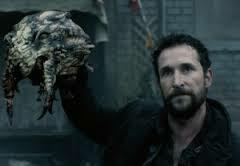 Looking at its pluses and minuses, the final episode represented the entirety of Falling Skies. Some good ideas with uneven execution, but on the whole, the show was a decent diversion on TV for the summer.